Are you on Google+? If so, we would love you to follow us! 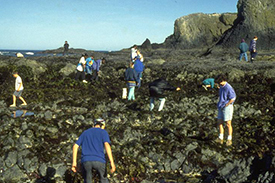 Oregon Coast agate hunting is a great activity for the whole family. Any time is a good time to put your toes in the sand and hunt for agates, but if you're able to be on the beach right after a storm or are there December - March, your chances are even better. Agates are small pieces of rock that has eroded from cliff along beaches or rivers that end up in the ocean and get a natural polish by the surf. These rocks tend to get buried in the sand. 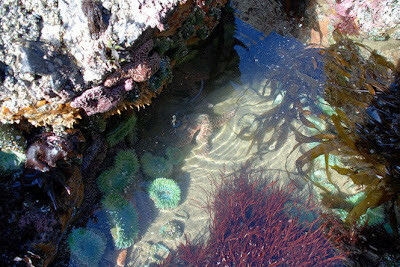 After a storm, the wind and waves remove some of the sand, leaving the agates exposed. Grant’s Getaways Agate Hunting on the Oregon Coast > by Grant McOmie, February 8th, 2013. Drift Creek Falls Trail and suspension bridge. A fairly easy 3 mile round trip hike through lush forest. You'll find yourself on a 240 foot suspension bridge, 100 feet above Drift Creek. The suspension bridge is the longest suspension bridge in Oregon. Never fear, the bridge barely moves under you and can hold a massive amount of weight! After crossing the bridge, you can take a short hike down to the pool bed. Accessible all year, in the summer, you might even want to take a swim! Located in the small fishing town of Garibaldi, the Garibaldi Museum is dedicated to the maritime history of the area and collecting information concerning Captain Robert Gray his historical vessels, the Lady Washington and the Columbia Rediviva. The second floor is devoted to the story of the discovery of the Columbia River in 1792 by an American captain, Robert Gray. 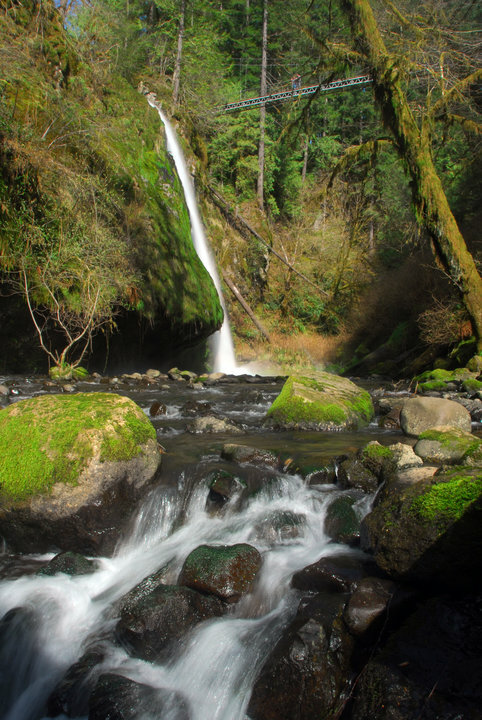 His mention of this discovery was the catalyst that ultimately inspired President Jefferson to send Lewis and Clark off on their now famous expedition, culminating in the discovery of the Columbia River meeting the Pacific Ocean, in 1805. 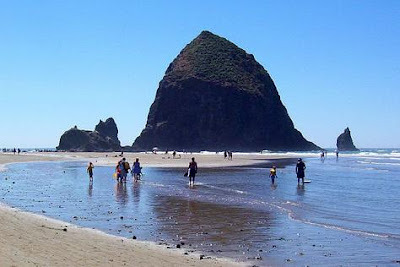 Join us on our journey of 101 things to do and places to see within a day trip from Sandlake Country Inn, our Oregon Coast bed and breakfast near Pacific City. Remember that "the coast" is a region...not everything will be beach front. 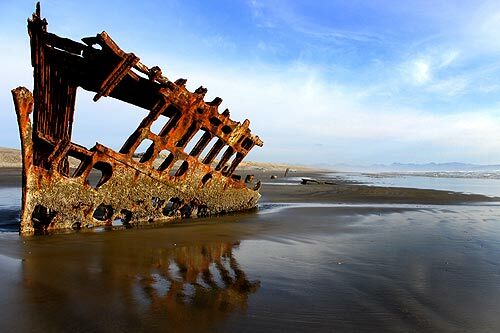 The Oregon coast is a beautiful and fascinating place, so buckle up your seat belt and come along for the ride! 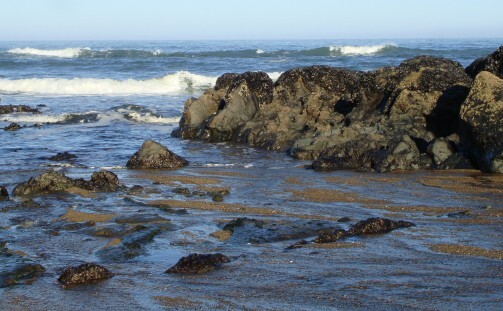 There are many more than 101 Oregon coast activities, but in this series of blog posts, we'll be focusing on the areas which are within an easy drive or day trip from Sandlake Country Inn, our Oregon Coast bed and breakfast near Pacific City. These 101 Oregon coast activities near Hwy 101 along the Oregon coast will be from Astoria down to Newport. One thing to remember is that "the coast" is a region...not everything will be beach front. 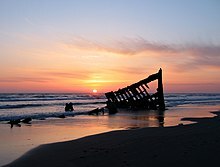 On October 25, 1906, sailing from Salina Cruz, Mexico to Portland, Oregon, the four masted British vessel, the Peter Iredale came aground on the Clatsop Spit. 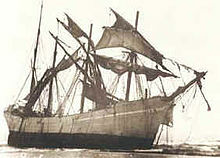 A heavy northwest squall grounded the ship and then high seas and wind drove the ship aground, where the rusted remains still stand. 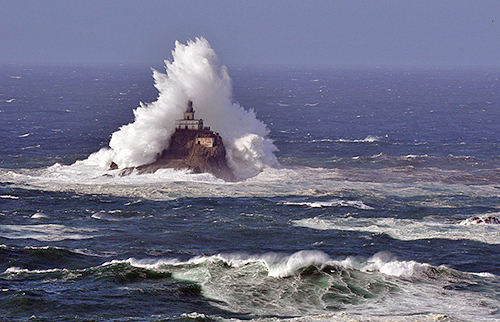 Oregon coast activities #5 - Tillamook Rock Lighthouse, "Terrible Tilly"
This is a series of 101 things to do on the Oregon Coast near Highway 101. 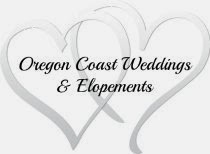 In this series of blog posts, we'll focus on the areas which are within an easy drive or day trip from Sandlake Country Inn, our Oregon Coast bed and breakfast near Pacific City. Our 101 things to do near Hwy 101 will be from Astoria down to Newport. Another thing to remember is that "the coast" is a region...not everything will be beach front. The only lighthouse in Oregon that is inaccessible to travelers. Tillamook Head Lighthouse has a very interesting past which you can read more about here. Building began in 1878 and because of the obvious risk involved, no local workers volunteer for the jobs. Men were hired who were unfamiliar with the area and sequested in the Cape Disappointment keepers' quarters until construction could begin, in hopes the locals would not scare them away! After 528 days of construction and many days of near death circumstances, the lighthouse light was lit.Terrible Tilly shone her light for 77 years until it was replaced by a red whistle buoy. In 1959 the lighthouse was originally sold to a private party and after a few more sales over the years, was finally sold in 1980 to become Eternity at Sea Columbarium. Interested parties could have their ashes stored inside the lighthouse. In 1999, the owners lost their license to run a columbarium and it is reported that only about 30 urns have been placed there. Tillamook Head Lighthouse can best be seen from several view spots along Highway 101, but the best place is just north of Cannon Beach, exit west on Beach Loop. After 0.3 miles turn right on 5th Street and drive 0.15 miles to Ecola Park Road. Turn right on Ecola Park Road and follow it to Ecola State Park where the best land-based views of the lighthouse can be found.